The countdown to the Cheltenham Festival continues to roll on and this week was another important one, particularly within the novice hurdle division. It was a relatively quiet weekend in general but there was still plenty to scribble down in the notebook on both sides of the Irish Sea. The ITV 4 Cameras were at Sandown on Saturday afternoon and it proved to be an informative afternoon of action. The highlight of the fixture was the Grade 1 Tolworth Hurdle over 2m, and it produced a highly exciting winner in the form of Finian's Oscar. Recent winners of the Tolworth include L'Ami Serge and Yorkhill and the early signs suggest that Finian's Oscar could be a worthy addition to that roll of honour. A P2P winner as recently as October, the big money purchase was running in a Grade 1 race on just his 2nd start over hurdles and all the signs at this stage point to the horse being very good indeed. He travelled well over a trip that would be considered on the sharp side for a P2P winner, before pulling well clear of the field and the future looks bright for the 5YO going forward. A Grade 1 win down at 2m is not to be sniffed at but it appears as if Finian's Oscar will take the Yorkhill route and step up in trip for the Cheltenham Festival. Few would be surprised if he was a 3m chaser down the line but in the meantime he looks a major player for the Neptune, and he was cut from 16/1, into 4/1f, for that race as a result of this latest success. A skinny price at this stage that's for sure but this could be a special horse, and the bookmakers are clearly kean to keep him onside at this stage. 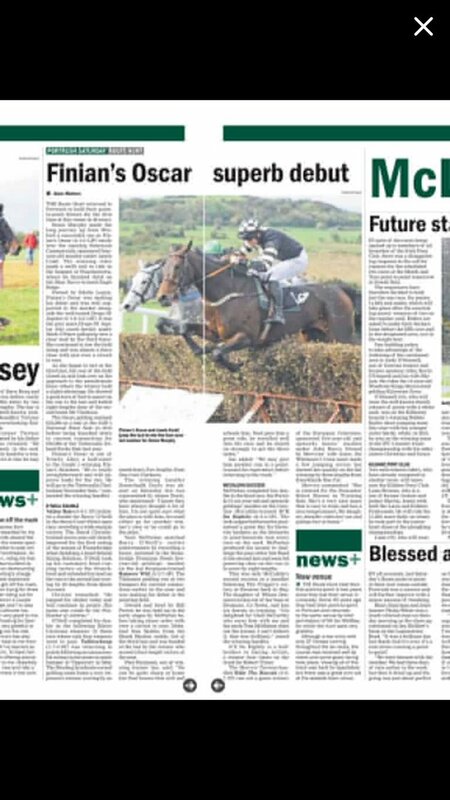 What a rise it has been for Finian's Oscar so far. Next stop Cheltenham? Elsewhere on the Sandown card, there was a good looking winner of the juvenile hurdle as Don Bersy upset odds-on favourite Coeur De Lion. The Tom Symonds horses jumped well before pulling clear, and 20/1 quotes for the Fred Winter Juvenile Hurdle look about fair at this stage. We should also give a special mention to Garde La Victoire who won the 2m handicap chase at Sandown on Saturday off of top weight. His jumping remains a worry but he showed his class isn't in doubt and one or two might be interested in him at 33/1 for the Queen Mother Champion Chase. 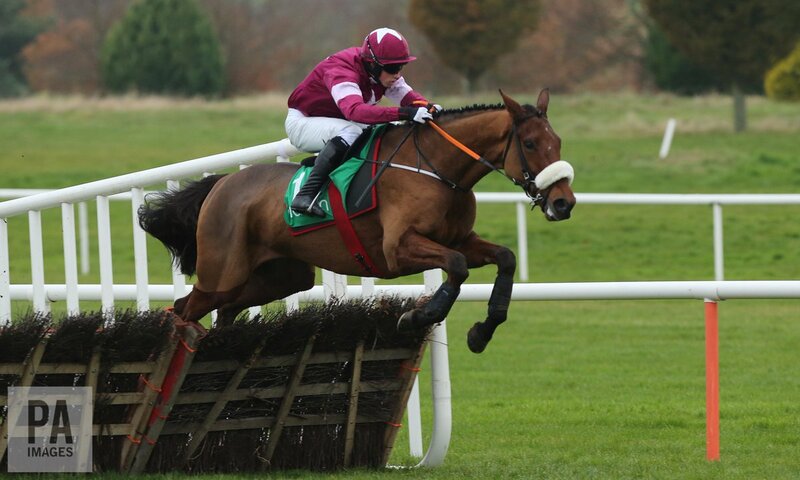 The stand-out fixture over in Ireland over the weekend came at Naas on Sunday and it didn't disappoint with plenty of drama. Some Plan was the outsider of four in the 2m novices' chase but the horse didn't know that and he impressed to claim the win. The Henry De Bromhead trained chaser jumped well before holding off Stone Hard on the run-in. Odds-on favourite, American Tom, ran no sort of race before taking a tired fall down the back and he can be given another chance, whilst all roads now lead to Cheltenham for the winner. It is hard to imagine Some Plan having enough class to win an Arkle but he deserves his place in the field and 25/1, from 33s, is the best price available about his chances. The big race on the card at Naas was the Grade 1 Lawlor's Hotel Novice Hurdle over 2m4f. The hugely exciting Death Duty started as an odds-on jolly and he duly obliged to claim yet another win and mark himself out as a potential superstar. Clearly a stayer, Death Duty bounded clear of the field to claim the win but the race wasn't without drama as Augusta Kate fell at the last when mounting a massive challenge. It remains to be seen which horses would have won had the mare stood up but either way we have plenty to look forward. Gordon Elliott was glowing in praise about Death Duty and with stamina on his side, he is now 9/4f, from 5/2f, for the Albert Bartlett Novices Hurdle in the spring. The Naas card also played host to a juvenile bumper and although it is hard to judge the form at his stage, there is no doubt that Red Jack is one for the notebook. The Noel Meade trained horse is clearly a stayer in the making with Numbersixvalverde on his pedigree sheet and he did this well. One for the tracker. Finally this week, we want to head back to Saturday and in particular Cork where we saw another future star from the Willie Mullins stable. Chateau Conti cantered to victory in the maiden hurdle and visually he looked like an impressive animal. Owned by the Un de Sceaux team, the French import galloped and travelled with the style of a good one, and although this looked a weak race he was cut into 16/1, from 25s, with Bet Victor for the Supreme.